Speed into a fun time! 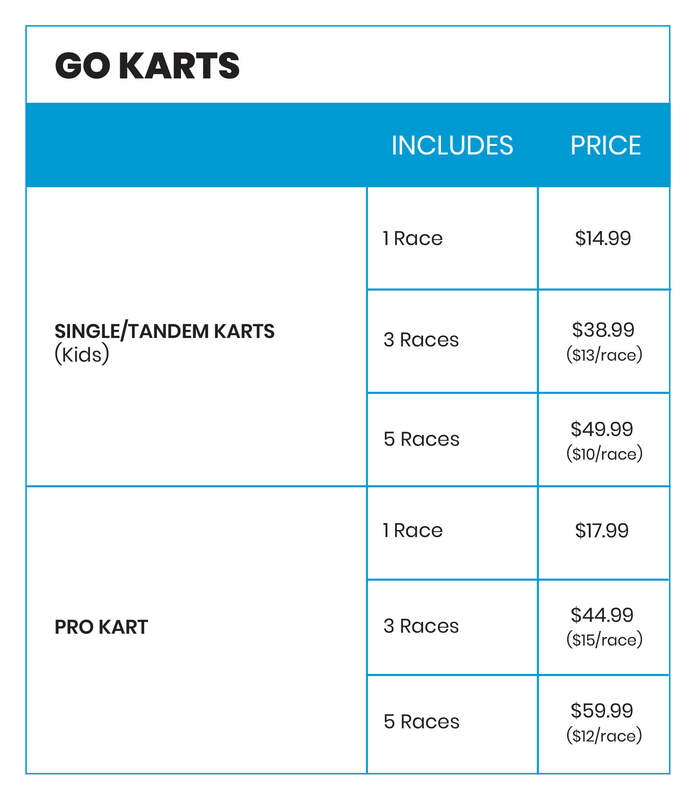 Choose your ride: Single or tandem kart, or our suped up pro-karts. Our indoor track is as welcoming to new go-karters as it is to seasoned racers! 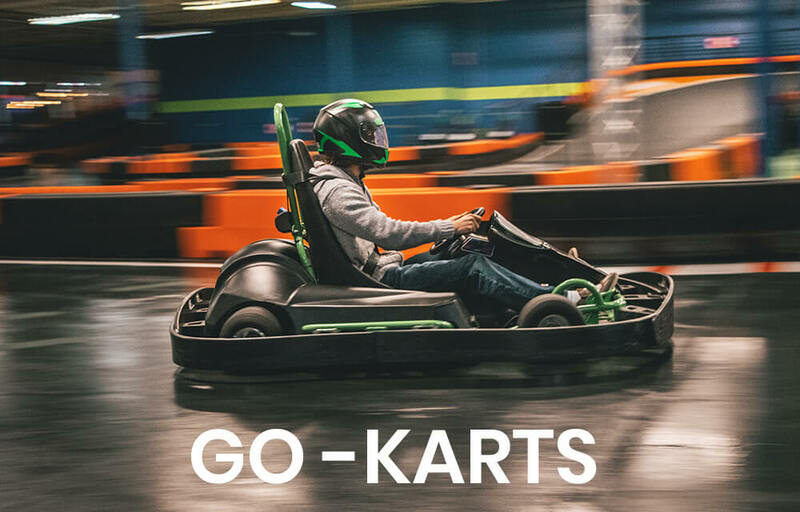 Go-karts are open to the public daily or can be reserved for a party! Speed of karts: Speed 1 – pit speed, Speed 2 – 17 mph, Speed 3 – over 30 mph (must be 16 years old), Speed 4 (Club speed) – Adjustable up to 40 mph for experienced riders.